Australian Hip-Hop is pretty damn amazing. It hasn't followed the formula set by rappers in the States but developed its own unique style that is immediately recognisable as Aussie. 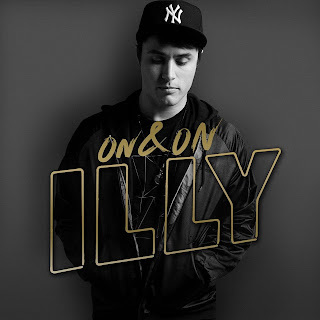 Hilltop Hoods, Draft and 360 lead the way as the most recognisable acts on the scene but Illy is also up there in his own right. His single Heard It All was our favourite Hip-Hop track of last year - it got played over and over in the SCP offices and it even became the track with the most plays on Pete's iTunes! So we've been eagerly awaiting what was to come next from this Melbourne lad. On & On was released last week and to be honest it's taken a little while to grow on us. Tell you what though, after several listens we get it. This is cool - and the video is 'backyard fun' awesome!! Give On & On a go - we think you'll love it! On & On is out now on iTunes..!